There has been, for some time, a growing tension within the Churches of Christ regarding several doctrinal issues that have otherwise been points of clarity and definition for the denomination. Not the least of these is the understanding of the roles afforded to women (according to the Scriptures) within the formal assemblies. In many instances this tension has grown into conflict that has even divided individual congregations. 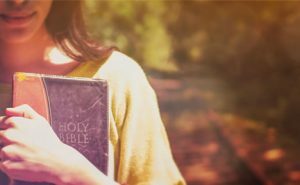 For those not exposed to this type of culture, which is prevalent in many churches in addition to the Churches of Christ, being female restricts people from leadership roles and from some teaching roles within the church. The defining of what would be leadership and teaching roles varies, depending upon the place worship. For any and all groups of Christians to attain some sense of unity called for in the Scriptures, it seems that we are beckoned back to the Scriptures in order to re-examine our previous understanding and assumptions. Have we correctly understood the formative texts for this issue? Whether we determine to maintain our present course or alter our position(s) seems to be less relevant, in terms of unity, than our willingness to allow one another the voice to ask the difficult questions. “The voice” is a key concept here, not only in the scope of this paper but in the writing of this paper since two authors are involved and since of them is male, utilizing a more traditional approach to biblical interpretation, and the other is female, utilizing a less traditional approach. In consideration of this, it seems pertinent to first recognize those two voices individually for the purposes of context before joining efforts as possibly one voice in the searching of the Scriptures and others’ voices regarding them. The following paragraph is a personal perspective from Jeremy Schopper. It is followed by a personal perspective from Robin Wood. Perhaps as the “Introduction” affords some leniency towards a greater sense of informality, I ought to take advantage of the opportunity for greater transparency. I do not wish to attempt to plow new ground on this issue. And after having read much of what the scholars have to say, it seems unlikely that there are many more original thoughts to be added to the discussion—unless of course some new information is brought to light. Instead, I must return to my previous line of thinking and make some minor corrections. For me to find some degree of unity with my faith heritage and at least some degree of integrity with my faith, it is absolutely imperative that I re-examine my previous understanding and assumptions on this issue. The correct question is this: have I correctly understood the formative texts for this issue? And, regardless of what conclusion the research leads me to, it is crucial that I find my own voice in this discussion. Over the course of the past year, I have been exposed to various ways of interpreting the Bible that have awakened me to challenge the assumptions that I have abided by, including the restriction of women in leadership and teaching roles within the church. Challenging these assumptions, although privately, has led me to searching the Scriptures and has caused an inner struggle between the familiar and the unknown. It is too late to return to the familiar, and, yet, the road ahead is unclear. This journey is uncomfortable, to say the least, and is not without its potential consequences, such as rejection, which in the long run, may or may not discourage this pursuit. In the mean time, I choose to continue searching the Scriptures and taking this journey cautiously toward freedom one step at a time. In other words, I may have found my voice, but do I dare speak? Thanks to Chris and his team atwww.brandonconcrete.com for sponsoring my blog this week.